In the late Eighteenth Century, the Golden Eagle Tavern provided food and lodging for settlers and travelers at Fort Bedford. 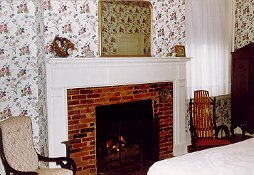 Today, the original brick masonry Federal Style tavern building has been extensively renovated to preserve the original beauty of the brick exterior, hardwood floors, high ceilings, fireplaces, grand staircase, elegant dining rooms, guest rooms and suites furnished with antiques, and Oralee graciously welcomes guests for lodging and dining. 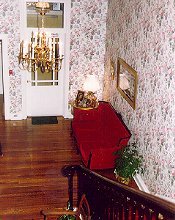 The Inn is located in Bedford's beautiful Downtown Historic District beside the Juniata River (fishing), close to antique and craft shops, Old Bedford Village, golf courses, Blue Knob State Park (skiing) and Shawnee Lake (swimming and boating). The Inn has 16 guest rooms protected with sprinklers, all with private bath, including several 2 and 3 room family suites; dining rooms and meeting rooms. Parking is available on site. Two miles from Exit 11 I-70 & 76. 2 hrs from Pittsburgh, Washington and Baltimore. 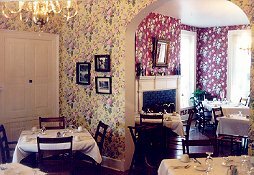 This and other Pennsylvania Bed and Breakfast Inns can be found here in The Register.